Review the summer swimming guidelines? Read the family obligation page? Fill out and sign the liability release, agreement and picture permission pages? CANDIDATES MUST BE ABLE TO SWIM A MINIMUM OF ONE LENGTH OF THE POOL WITH NO ASSISTANCE TO BE ELIGIBLE FOR THE SWIM TEAM. You may not park in the circle. Parking is available in the upper lot above the tennis courts. We would ask all parents when they are dropping off their children to please come into the building to make sure there is in fact, practice. This is a safety precaution especially for our little ones. This prevents any swimmer left by themselves without supervision should there be no practice. We would ask all parents to be at the school at least by the time practice is over. This again prevents any child being left at the school without supervision. Parents need to be aware that as soon as swimmers enter the locker room after practice they are no longer the team’s responsibility. We have come up with consequences following unacceptable behavior during practice. 1st Offense – Swimmer sits out for 5 minutes. 2nd Offense – Swimmer is removed from pool area and parent is called to come and pick him or her up. 3rd Offense – Child will not be permitted to swim any longer and your fees will be pro-rated fairly and returned. We have had to do this in the past and we will again as safety of all the swimmers and respect is of the utmost importance. Coaches go over the rules with the swimmers several times. They will all know the rules and they will all know the consequences. Starting the week of May 1st, we will be taking attendance. We encourage our young swimmers 10 and under at least 3 days a week. All other swimmers are encouraged to come daily. Remember, what your child puts into it is what will be the result of his or her swimming. Kiski Pool – Starting Monday, April 23, 2019 – April 26, 2019 Mon-Fri 6:00 – 8:00pm. It is the responsibility of the swimmer to have fun, work hard to improve and try to do what the Coach asks and never say “can’t”. The swimmer must also attend practices and meets. The swimmer must remember their swimsuit, towel, cap, goggles, fins and water bottle. 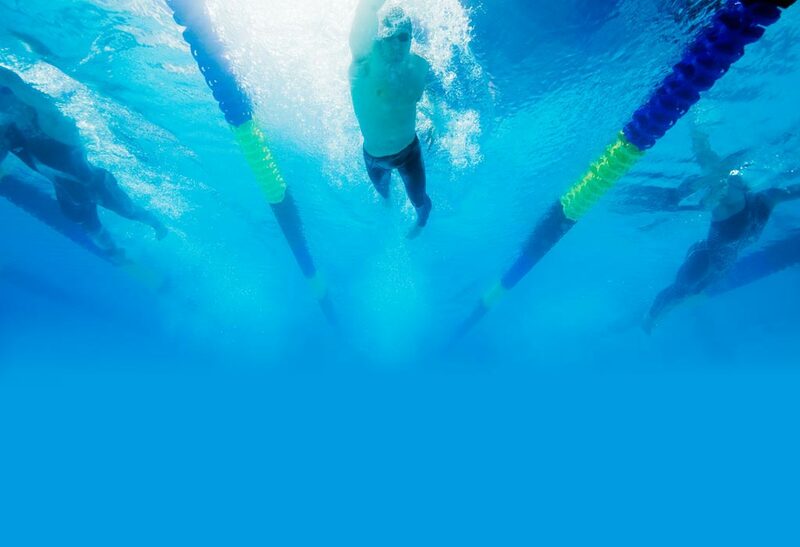 The swimmer should strive hard to improve a little each day, and to have lots of FUN! It is the responsibility of the parent to support the Coach and to help out in any way asked. The parent should make sure that their swimmer knows that they are loved no matter what place they come in. Cheer for your swimmer and leave the coaching to the coaches. Remember that there are many ways to be a winner and it doesn’t always mean coming in first. Please sign up to help at our meets. Without parents and family volunteers we would not be able to have a swim club. The more people that can help the more efficient and timely a meet can be handled reducing everyone’s obligation time and making the meet fun for all to enjoy! YOUR FIRST SWIM MEET – WHAT TO BRING? Lots of cheering and great friends! Swimmers times are collected multiple ways. They may be recorded by our timers on stopwatches, a plunger pressed by the timers and by the swimmer touching the pads in the water if the pool has pads. If your swimmer asks a timer for their time, be aware that time is NOT official. Once all the times for a heat are collected, the swimmer must wait for the official results to be posted. All events results are computerized and retained for each swimmer all season. During competition, if a swimmer fails to comply with the stroke and turn rules, a Stroke and Turn Judge (dressed in white) will raise their hand and write up a disqualification (DQ) slip. Judges always try to reach the swimmer to explain the reason he/she disqualified the swimmer, but this is not always possible. Being disqualified is not the end of the world. Almost all swimmers have been DQ’d at some time. This should be viewed as a learning experience and not a failure. Swimmers should discuss this with their coach after the race, and together they will formulate a plan to correct the mistake. I, (1)________________________________________, (2)____________________________________, (3)__________________________________ agree to respect all property of the Kiski Area High School and will not engage in any destructive behavior on the property of K.A.H.S. or any other location that the team may be swimming or practicing. I understand that I will be held responsible for any property that I intentionally damage. I promise to respect my coaches and fellow swimmers. I understand that I may be suspended or dismissed from a practice if I am disrespectful to the coaches or other AMS swimmers. I also understand that unless I am AMS registered, I am not permitted on the pool deck. I will try my best and work hard to be the best swimmer that I can possibly be. I, (1) _______________________________________, (2) ________________________________________ agree to support my child and the other swimmers on the team. I promise to act responsibly at all times and to treat coaches and all swimming officials with courtesy and respect. I will provide the necessary support, funding and transportation for my child to have a successful swimming season. I understand that swimmers are to be picked up immediately after practice, and that coaches are not liable for swimmers after that time. I also agree to support the fund raising activities of the club as well as any other functions (mock meets, banquets, etc.) I understand that if fees are not up to date and arrangements for payment have not been made with the board, my child will not be permitted to swim. I, __________________________________________, agree to provide to the best of my ability a safe and positive environment for each swimmer on our club. If disciplinary action is required, I will discuss with the other coaches on the team and with the parents of the swimmer. Disciplinary action will be handled directly with those involved and not in front of the entire team. I promise to adhere to the rules and regulations set forth by USA Swimming. I will try to provide as much information as possible to the parents of the swimmers. I will attend board meetings and club meetings when asked to do so. I will complete the necessary paperwork upon request for any and all background checks that the board may require. I, ________________________________________, GIVE or DO NOT (please circle one) give my permission to have my child’s picture taken for team pictures, newspaper articles, yearbook, slide shows, etc. I give permission for __________________________________ to be transported to the nearest hospital/medical facility in the event of an emergency, and to receive emergency treatment.